ZIF socket soldered on for easier chip swapping. 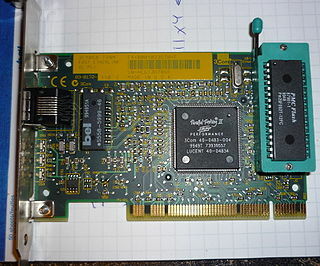 Some 3Com network cards can be used as flash programmers for parallel flash devices using flashrom. However, due to hardware limitations, most 3Com cards only support reading/writing chips up to a maximum size of 128 KB! This page was last modified on 17 July 2011, at 10:30.